Medium size crossbody bag made using pictures from you. Coated with clear plastic for protection. 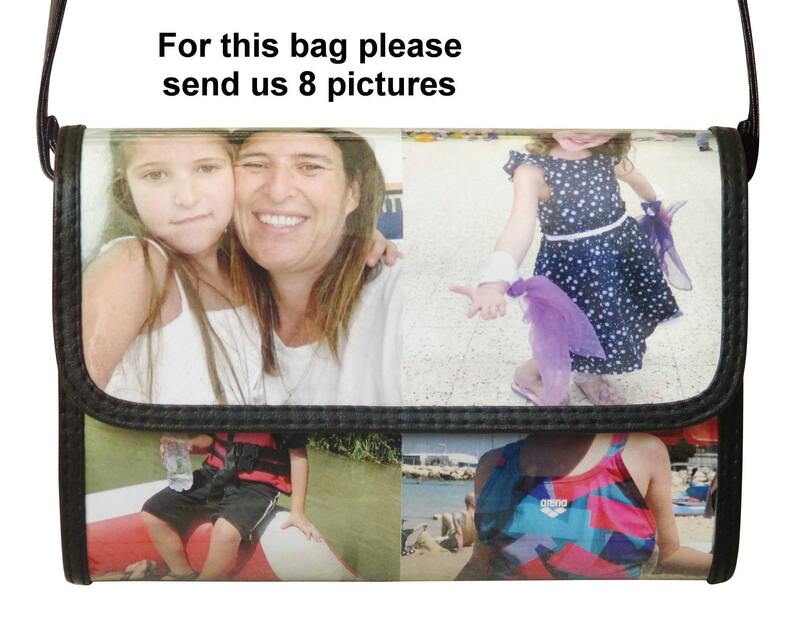 For this bag we will need from you between 6 to 8 pictures. - Adjustable strap made of vinyl. - An inner YKK zipper pocket. - Polyester fabric used for lining. Pleasantly surprised and great quality! Awesome Service as well!! Thanks again!!! Will order more soon!